Kamdar Plaza is both an Indian grocery and a small restaurant. The food is similar to the cuisine you find on the streets of India. Unfortunately, most people don't know about the small cafe that sits inside this grocery store. Unfortunately, there is minimal seating and the set up is a little confusing. I wasn't able to try any of the other food, but I assume it is all pretty average street food. For that reason I decided on giving them a 3 mile rating. The samosa was super fresh. 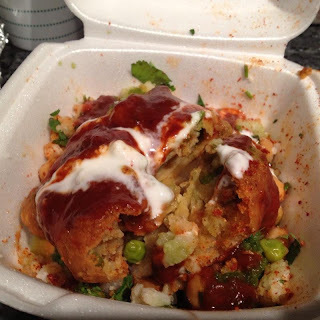 I love getting samosa's from Devon (Chicago's India Street). They are not overpriced like everywhere else in the city and they have the best chutneys to go with them. Samosa Chaat is basically a smashed up samosa and then covered with two or three different types of chutneys. It mixes a lot of flavors. Only bad part is that it makes this to-go- treat into a spoon and fork meal. I don't know what to think about Paan. It is sort of an after dinner mint/tobacco product that the locals usually eat. I wanted to try it and I wanted to like it... and I did, as long as you ate it in small bites. 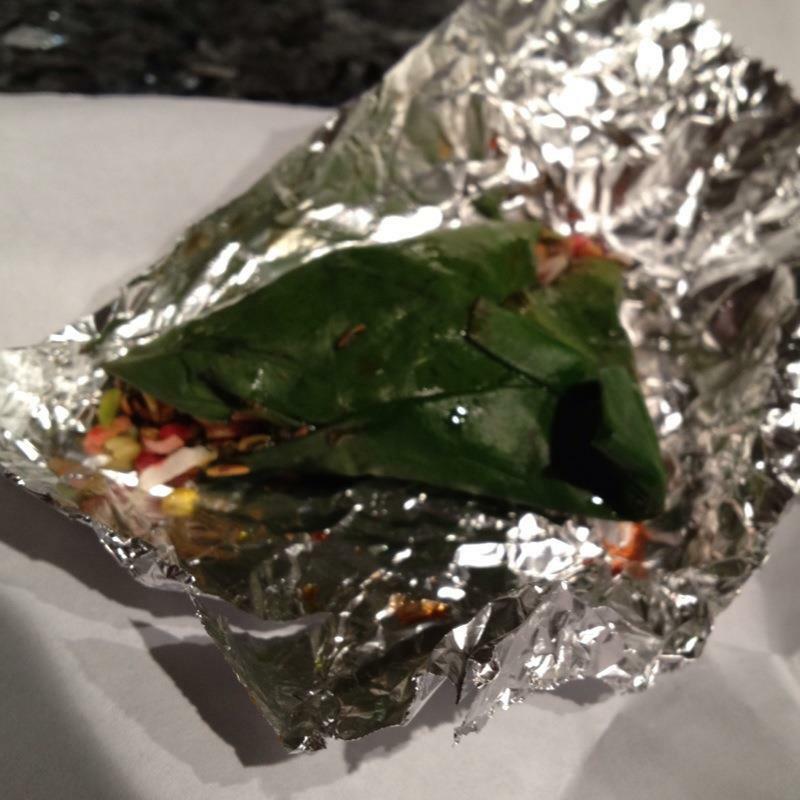 Too much paan at once is only for the locals. I forgot to take a picture... But this is by far the best dish I had at Kamdar Plaza. Pani puri is a dish that you have to make yourself. You get puri which is a fried sphere... You have to pop a hole in the sphere and fill it with the sauce (pani) and the other ingredients like chick peas and some crunch stuff. Then eat in one bite! - Do come here with someone that knows the area. I luckily have many Indian friends and they know the places to go and the food to try! - Don't try to find parking on Devon Ave. It is way too busy. Just pull off to one of the side streets to find plenty of free parking. Just be prepared to walk a bit.